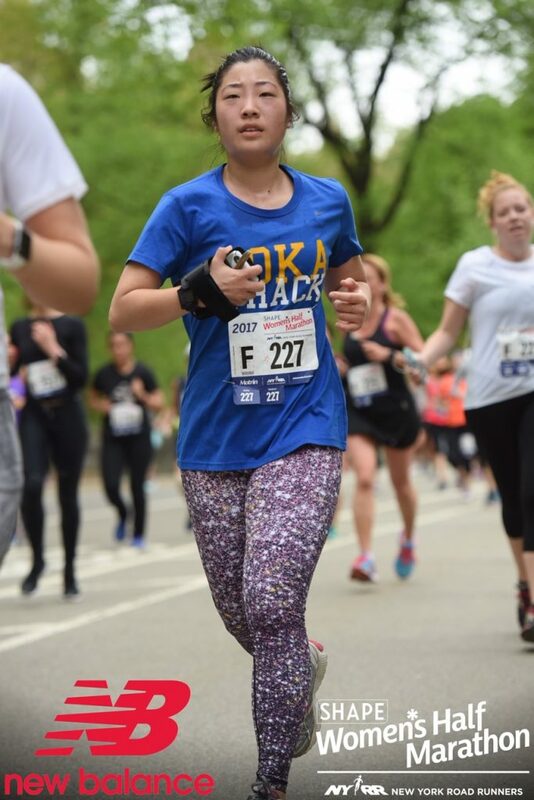 Last month, I raced and completed the 14th annual Women’s SHAPE Half-Marathon 2017 on Sunday, April 30th with arguably the strongest women in New York City. This particular race was special because I truly felt the impact of running alongside a diverse group of powerful women all connected by the same language of struggling through 13.1 miles. In celebration of completing this beautiful race, I want to have a discussion on what it means to have a runner’s body and share honest confessions about my personal insecurities. Let me start by saying that I never expected to face so many challenges during this process of training for my first marathon. Every fear and insecurity comes up in the most unconventional ways and at inconvenient times. In terms of my relationship with my own body, this is something I never put too much thought into. Generally, I’ve been content with how I look, even at my heaviest and not working out at all (though, some might argue that I was just in denial). But I’d be lying if I said that I’ve never been self-conscious of the way I looked because I am. I’ve been a runner for more than half my life. I started out on the track team in middle school at age twelve and have completed a few of the youth races with New York Road Runners (NYRR). Since then, I’ve continued to run. Admittedly, I’ve taken significant breaks in between intensive training phases in my life but running has always been that one constant that keeps me sane. And considering that, I’ve actually never embraced my own body as a runner’s body because I was so used to the thought that I never looked like one. From a young age, I’ve been taught to never compare myself to others. But when all my runner friends have beautiful, lean bodies with toned legs and slender arms, I’m going to wonder why I don’t look like that. We’re doing the same sport, right? What’s worse (and sad) is that I’ve gotten really good at convincing myself that I’m not a true runner because I don’t look like the rest. Knowing that I will never have the “ideal” runner’s body took away from the joy of running, which is why I took breaks and fell into several major slumps. Each time I get back into it, my doubts as a runner and my body insecurities surface. I try to carry myself with confidence when I refer to myself as a runner and an athlete. But I’m not going to lie – the imposter syndrome is real. There are many days when I feel like a complete fake when I introduce myself as a runner. I’ve got these huge thighs, short legs and a stomach pouch and I’m sure that not many people believe me when I tell them that I run. I hate thinking like this but I can’t help it. And I wonder when someone will call me out on my facade. The irony of all this is that I feel way more insecure about my own body when I’m actively running compared to the times in my life when I took breaks and didn’t focus on fitness. Now that I’m in the midst of training for the marathon, I’m significantly more aware of how my body looks, how it moves and what my limitations are. I know I’m strong and I’m getting faster but I still wonder when my abs will show up and if I’d be able to fit into a pair of jeans that are smaller than an eight. I think the barrier standing between myself and loving my runner’s body is the limited perspective I have towards measuring progress. I thought that my improved mile times and constant PRs (personal records) are enough. Speaking of which, ten months ago, I was completing four and five milers at a 10:15 pace. Now, I’m doing half marathons (13.1 miles) at 8:53 per mile. The progress feels amazing and the improvement is definitely a manifestation of my hard work. But I give myself a hard time because I still don’t look like a runner. I run like one but somehow that’s not enough for me. If there’s one thing I chose to do for myself that day, it was to embrace myself as a runner no matter how I looked. In fact, my breakthrough was when I realized that having a runner’s body has absolutely nothing to do with the way I look. It’s purely a mental and emotional state of being. It’s having the courage to take the first step and start something that feels daunting and intimidating. It’s continuing the sport despite setbacks and sacrifices. And finally, it’s showing up to a race ready to crush doubts and broaden my potential. This race wasn’t supposed to be my best. 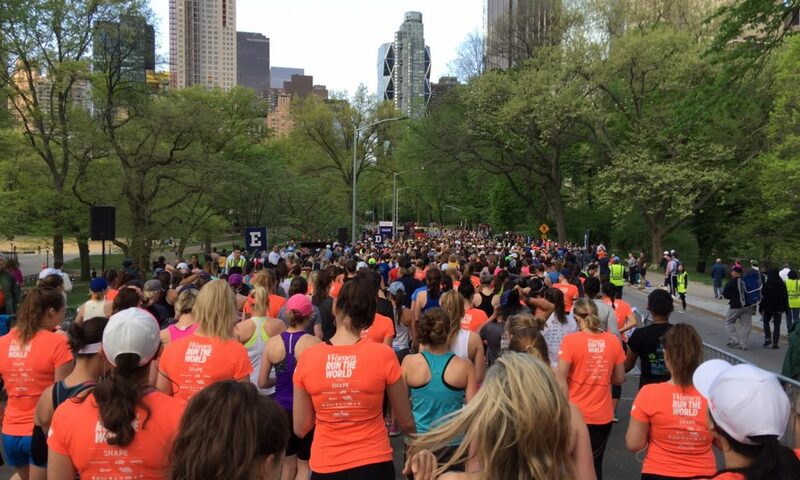 I chose to approach it as a tempo run and test out a racing strategy but more importantly, to simply enjoy running and doing it with almost 7,000 strong women that make up this incredible city. When I crossed the finish line, it turned into more than that. I learned that progress is progress, no matter what I look like on the outside. I got a new PR at 1:56:17, shedding 1:20 since the last time I ran a half and managed to get negative splits! Did I mention that I ran up Harlem Hill twice? At this point, I still can’t say with utmost sincerity that I’ve overcome my body image struggles. There’s still a part of me that will be judgmental about how I look and how I feel as a runner. But now, when I look at myself in the mirror, I think about how appreciative I am to have a strong body that is capable of crushing long distances. I think about the work I need to put in to get this body to run faster. And finally, I see my body as a canvas to showcase what true grit, determination and courage looks like. This is the epitome of a runner’s body.